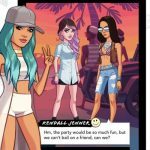 When we shared with you our first Kendall and Kylie strategy guide, we briefly mentioned K-Gems, which are the game’s premium form of currency. 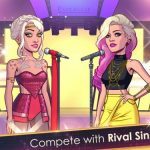 But just in case you’re reading about Glu’s new Android and iOS title for the first time, here’s a brief backgrounder on this game. 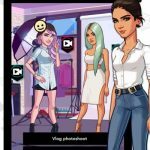 Kendall and Kylie is a new “be a celebrity” game endorsed by none other than reality stars Kendall and Kylie Jenner, and in here you can choose to become famous in any one of several mediums, customize your character in hundreds of ways, and strive to gain more followers on social media. Whether you want to become a big star in the world or fashion, the world of multimedia, or other fields, the choice is yours – just make the right moves and gain a substantial number of followers. That’s pretty much the game in a nutshell, but what about those K-Gems? How can you get more of this premium currency and therefore make faster and better progress? 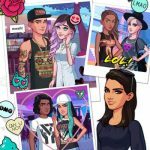 This strategy guide may not be as long as the first one, but it comes with everything you have to know about earning more K-Gems in Kendall and Kylie. 1. What Can You Use Your K-Gems For? 2. So How Do You Earn Those Gems? Now that you know how to use K-Gems, let’s tell you how you can earn them. Playing the game for the first time would earn you some K-Gems; meeting Kendall and Kylie will earn you some of this premium currency, while you’ll get yourself more as you naturally make progress. Improving your social media presence by gaining more followers will earn you some sweet rewards, K-Gems included. Achievements are another great way to get more K-Gems for free. As we said last time, you can tap on the notebook icon on the lower right corner, and check your achievements; focus on completing them and you’ll get more gems free of charge. Lastly, you can gain free gems by tapping on all items you can tap on in the game. Normally, they’ll drop regular currency, but in some occasions, they just might drop some K-Gems for the taking. If you’ve got some real-life money to burn, then you can buy K-Gem packs, which are available on the in-app store. But it’s always good to make the most out of your actual cash, and buy gem packs smartly. For example, you’ll get 40 more gems by paying for the $10 pack as opposed to two $5 packs, and 160 more gems for $20 than you would by buying four $5 packs. Now you may be inclined toward buying smaller, cheaper packs in a pinch, but why not make one big purchase every once in a while, instead of making several tiny purchases every week or so? $20 per month for one month of gameplay will be far more worthwhile than $5 per week. We told you how to use the gems, how to earn free gems, and how to spend your cash when buying gem packs from the in-app store. Therefore, we shall close out with one useful tip for optimizing your gem spending. Don’t be reckless when spending those gems! We suggest saving your gem usage for charming people, and if you want to use your gem to buy stuff, then use them to purchase rarer outfits and accessories. Otherwise, you can achieve things in the game by adding friends or spending the common currency. Patience is a virtue, and don’t spend your gems recklessly just because you can’t wait for something to be completed!